UKTV has reported earnings of £66.2 million in 2013, down seven per cent year on year after the broadcaster made strategic investments in content, distribution and the launch of the Drama channel. Releasing its annual results, UKTV reported revenue of £278 million in 2013, up a healthy 6.1 per cent year on year. Reported earnings before interest and tax, however, declined 7.4 per cent year on year to £66.2 million. Reported earnings before interest, tax, depreciation and amortisation (EBITDA) were £67.4 million, down six per cent year on year, due to "strategic" investments in content, digital distribution and the new channel Drama. If the investment costs are stripped out, underlying EBITDA increased by seven per cent to £76.7 million. UKTV attributed its increased reach between January and June 2014 to that same investment. In the first half of 2014, the UKTV portfolio’s share of commercial impacts was 9.1 per cent, up by 17 per cent year on year. The broadcaster’s 11 brands include Dave, Gold, Watch and Yesterday. Alongside the financial details, the company lists long-term carriage deals with Sky and Virgin Media, as well as a distribution agreement with YouView, as among the year’s most significant developments. Additionally, UKTV launched its first video-on-demand service, initially through its free-to-air portfolio but now distributed via its interactive digital service, UKTV Play, which launched in June this year. On-demand viewing for the first half of 2014 is up 639 per cent on the same period in 2013. 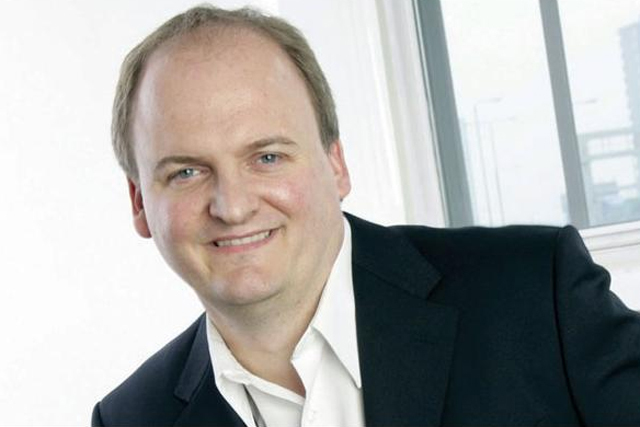 Darren Childs, the chief executive of UKTV, said: "Investment is key to our future growth. These results show that the more we put in, the more we get out, and I am delighted that so many of our original programmes are amongst our top titles and selling so well internationally. "This is a really significant phase in UKTV’s story, when we move from challenger to contender and this is the first time in the history of British television that a non-PSB channels business has played so big a role in the ratings charts. "That’s reflected in our SOCI performance, where we are in sight of a 10 per cent share in the next few years, and that is the result of a concerted effort to invest in a targeted, thoughtful way in the future of the network. "We are widening our distribution and broadening the viewer’s chances for seeing our shows. All in all, this is a modern TV company, fit for the future." Speaking to Campaign at the UKTV Live last week, Sarah Goldman, director of Advertising at UKTV said that UKTV has had "a spectacular first half of the year", but admitted the remainder of 2014 will be a "little more uncertain".